CAYO HUESO — LITERALLY “bone cay” in Spanish, Key West has had a fascinating, often morbid history. In its precolonial days, it was said that the island was once a communal graveyard, littered with the bones of prior inhabitants. Key West became an official territory of the United States in 1822, but its rich history spans well beyond the past 200(ish) years — and the Key West Art & Historical Society is the organization charged with the monumental task of documenting and preserving all aspects of Key West, from art and architecture to the intangible elements that constitute our unique culture of place. 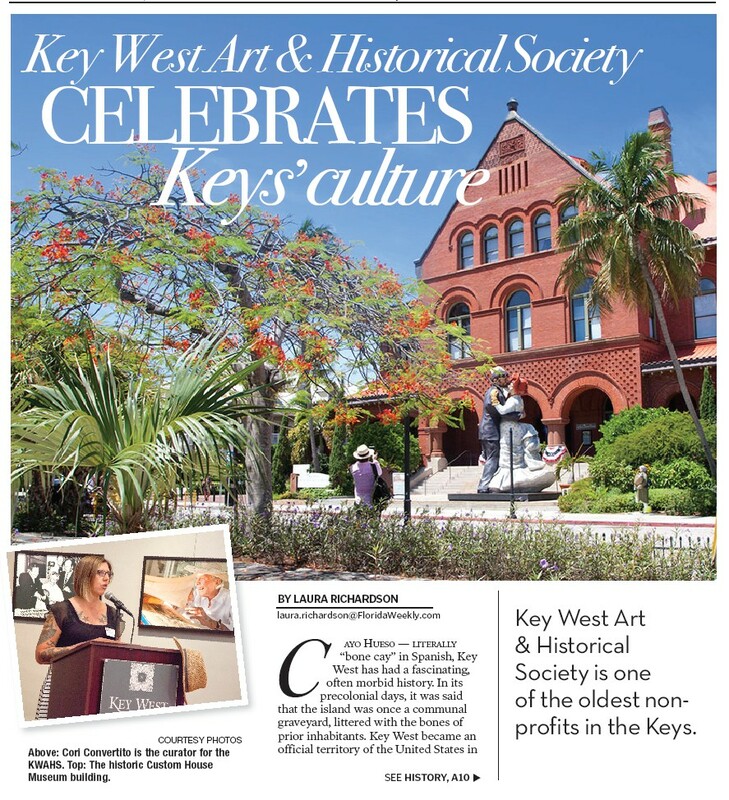 The Key West Art & Historical Society is one of the oldest nonprofits in the Florida Keys. The organization operates four distinct museums in Key West — the Custom House Museum, the Lighthouse and Keeper’s Quarters, Fort East Martello Museum (which you’ve probably heard of because it’s the home of Robert the Doll, the demonic haunted plaything evocative of horrifying memories of Chucky, the ginger moppet of Child’s Play notoriety) and the Tennessee Williams Museum. 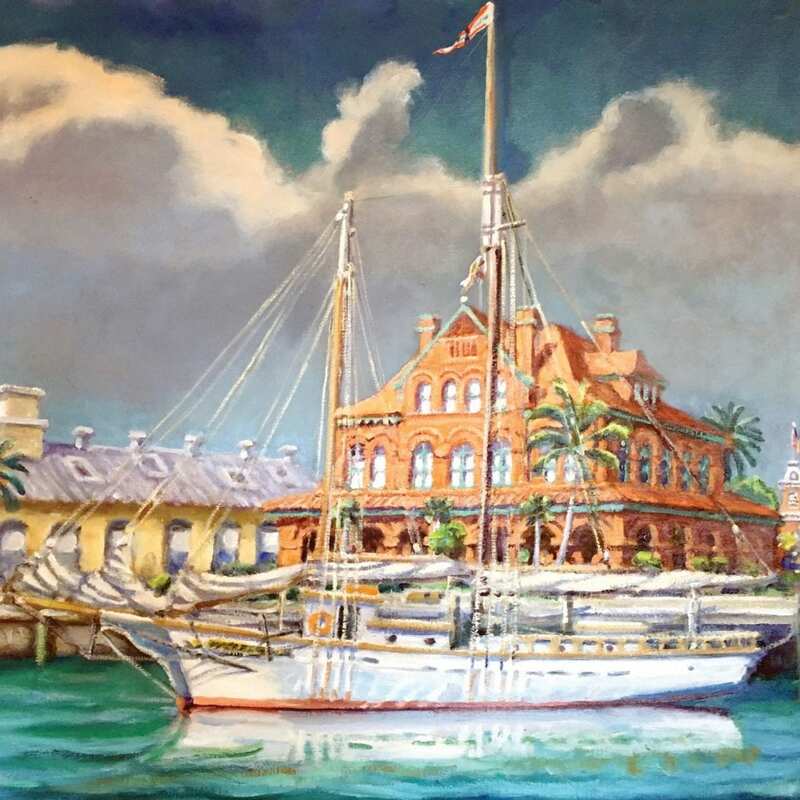 For over 60 years, KWAHS has preserved Key West in all her glory by restoring historic structures and collecting and displaying artifacts and art that physically embody the history of the Florida Keys. But, as you may have suspected given Key West’s unique approach to everything from cuisine to Halloween, KWAHS isn’t your typical stuffy museum curation operation. The Society also works with the local community to provide hands-on programming and events that allow visitors and locals alike the opportunity to experience Key West’s vibrant history firsthand. A colorful part of Key West’s history in her own right, Cori Convertito has been the curator for the KWAHS for the last six years. Cori has a Ph.D in Maritime History, making her the perfect breed of nerd to run a historic preservation outfit in a town practically synonymous with maritime history (not to mention the pirates, plunderers and poets who have called our shores home). To Cori, the KWAHS and her landmarks are not so much tourist attractions of Key West as they are an indispensable part of the island’s very fabric. For a town like Key West, which appears to change as often and as quickly as Lady Gaga does on any given night of her residency at the Park MGM Las Vegas, an organization like KWAHS is vital to tracking and recording each cultural reinvention. Having so much cultural material to cull from means that the KWAHS has no shortage of exhibit opportunities. Between its four landmark locations and its online archives, the KWAHS will showcase 15 exhibitions this year alone. “Our 2019 schedule is packed with a wide range of exhibits,” Cori explains. “Art & Puns: The Whimsy of Ferron Bell,” which closes on Feb. 10, celebrates the legacy of Ferron Bell, one of the island’s most clever visual artists. “Ferron’s work is unlike any other artist in Key West,” Cori says. “It is not idyllic. It is not intended to evoke daydreams in tourists’ minds of swaying palm trees on a pristine beach. Ferron was eccentric, and so was his artwork.” The exhibit spotlights the quirky late artist’s trademark visual wit and whimsy, featuring work from private Key West collectors, personal photographs and newspaper clippings about the unique personality widely known for his off-the-wall and humorous creations. 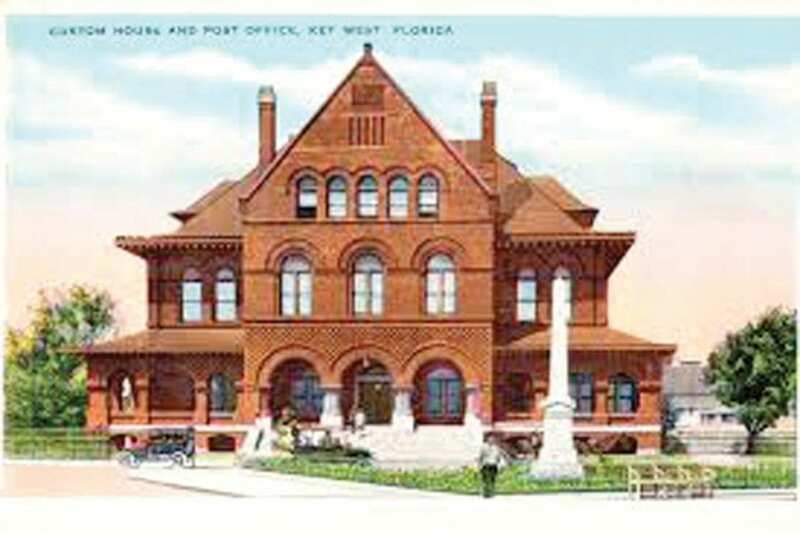 In a nod to the “history” component of KWAHS, the Custom House opened “The Key West/Bahamas Connection” on Jan. 18. Aside from the geographic proximity to one another, the islands of the Bahamas and the island of Key West have much in common. In fact, Key West’s original settlers were mainly of Bahamian descent, particularly from the Abacos, Harbour Island and Eleuthera. The Bahamians, already proficient in the shipbuilding, fishing, wrecking and sponging industries relocated to Key West in the hopes of enhanced economic fortunes. Once it was established that Key West could be prosperous, Bahamians moved to the island in large numbers, sometimes even bringing everything, including their homes, with them. The result was that Key West effectively became an extension of the Bahamas — the food, the architecture, the industries, the music and the families were all closely aligned with their former lives. This exhibit seeks to explore both the historical and contemporary connections between the two locations, demonstrating how much of Key West’s culture and community is deeply rooted in its Bahamian heritage. In addition to the special exhibits, the Custom House is also home to three permanent exhibitions. “Depicting Hemingway: Guy Harvey Sketches ‘The Old Man and the Sea’” features 59 original pen-and-ink drawings by internationally renowned marine wildlife artist and conservationist Guy Harvey that depict Hemingway’s Pulitzer Prize-winning novel. Tennessee Williams, Key West’s other über famous literary son, also has his own collection, “Tennessee Williams — The Playwright and the Painter,” which contains 15 of the writer’s paintings from the 1970s. And if you really want to dive deep into what really made Key West a destination accessible from nearly anywhere, visit “Henry Flagler’s Overseas to the Keys,” which features the amazing stories behind Flagler’s ambitious (and tragically destroyed) engineering feat. If you’re not quite the museum type, KWAHS also hosts creative events like the Stanley Papio Kinetic Sculpture Parade, for which artists from all walks of life create human-powered mobile kinetic sculptures that they parade down Duval Street in a whimsical, joyful celebration of quirky creativity. “Aside from exhibits, we also have several exciting programs to get the community involved, including our annual Conch Revival Picnic, historical walking tours and educational lectures and workshops,” Cori says. Or you could just shed that puffer coat, hop a flight and come experience for yourself all the things that make Key West’s culture so special. We’ll have a frosty Hemingway daiquiri waiting for you. 2Robert the Doll lore dictates that, in order to photograph him, one must ask permission. I don’t know if that rule extends to journalism, but I’d like to take this opportunity to cover my superstitious behind and request that Robert bless his brief mentions in this article. You’re all welcome.